The Shining by Stephen King/Stanley Kubrick. On The Shining by Michael R. Collings. 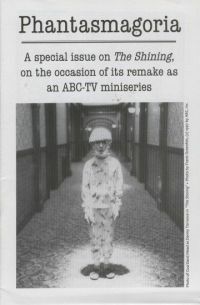 Stephen King speaks about Stanley Kubricks version of The Shining. Stanley Kubrick on his film, The Shining. King Back at Site of Shining Inspiration by Laurie Button, speaks with King during the filming of the ABC TV mini-series version of The Shining. On the Set: Behind the Scenes by Laurie Button. At The Shining Press Conference included Stephen King, Director Mick Garris, Rebecca De Mornay, Steven Weber, and producer Mark Carliner. 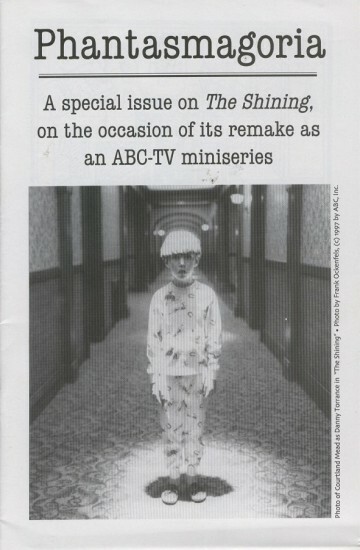 This issue also features photos from the ABC version. 36 pages. Sealed and is in New condition. GB Publishing, 1997. First Printing. 36 pages. Magazine. Fine / Fine.